International ecological – educational center (IEEC) “Istomino” is owned and run by Baikal Institute of Nature Management of the Siberian Branch of the Russian Academy of Sciences, Republic of Buryatia, Ulan-Ude, Russia. MOES “Istomino” is located in the south-western part of the delta of the Selenga River in the village Istomino. The nearest cities are Kabansk (30 km) and Ulan-Ude (150 km). Scientific value is determined by the close proximity of the station to Lake Baikal, as well as proximity to the unique freshwater delta, included in the list of the Ramsar Convention of wetland ecosystems. Selenga River delta is the habitat of the Baikal fish faunaThe animals that live in a particular region, habitat or time (such as geological period like the jurassic). For plants, we use the term flora, and to collectively refer to all... More (sturgeon, cisco, whitefish, grayling, and carp) and migratory birds of North Eurasia. The uniqueness of the natural environment is complemented by the presence of areas of permafrostPermafrost is frozen ground that remains at or below zero degrees Celsius (32 degrees Fahrenheit) for two or more years. It forms in regions where the mean annual temperature is... More, gas hydrates, and the outputs of combustible gases, oil and thermal waters. 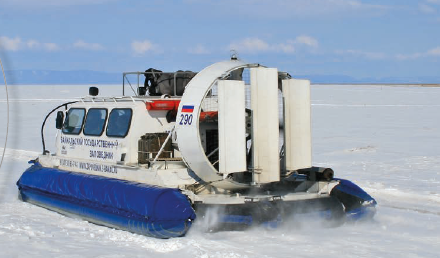 IEEC “Istomino” was founded in 2001 in village Istomino on the shore of Lake Baikal in the Selenga River delta and officially opened on 30 April 2001 for the activities of Russian and foreign scientific and governmental organizations. IEEC “Istomino” combines the efforts of Russian and foreign scientists directed on research of unique ecological system of Lake Baikal and its watershed, and also carries out ecological education and education of the population of the Baikal region. • development of ecological tourism. The station is located close to several small villages, where the population is engaged in fishing. Ethnic origin of the general population is Russian and Buryats. International ecological – educational center “Istomino” is accessible from Ulan-Ude (150 km) and Irkutsk (350 km) by vehicle. International airports are located in Ulan-Ude and Irkutsk.